The secret to feeding fussy kids? Hi Pepper Leaf Team, just a quick note to say â€˜thanksâ€™. For years Iâ€™ve struggled with how to feedÂ 2 fussy boys. Iâ€™ve yo-yoed and juggled, taking requests and cooking favourites, only to have the other one turn his nose up. Some nights Iâ€™d cook a meal for the kids, supplement with a banana or yoghurt for the one that was complaining, feel guilty that he hadnâ€™t eaten, then cook again for me and my partner. My sister started me onÂ Pepper Leaf shortly after our baby girl was born. Itâ€™s been a lifesaver. Now we involve them in choosing whatâ€™s for dinner, finding the ingredients and even a little of the cooking. Itâ€™s been great cooking and eating together, and while there are still the ocaasional banana and yoghurt evenings, itâ€™s sooo much smoother now. 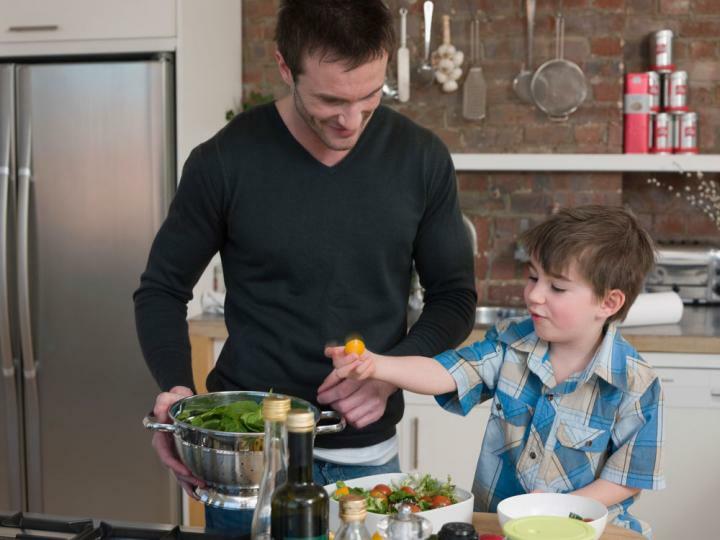 Cook with your kids (or just for you!!) with 50% off your first order.